Well done! You’ve found the trusted HR technology you’ve been looking for that is compatible with business systems, easy to use, and even easier to access. You can deploy your system on-premise or in the cloud, and you can now also make leave application and management even quicker and easier by using the SmartHR Mobile App. SmartHR is easily adopted by your IT department. It runs in Microsoft Windows and stores its data in a Microsoft SQL Server database – systems trusted the world over by companies of all sizes. SmartHR can also be hosted in a virtual machine like VMware and can run through Terminal Server or Citrix Metaframe. databases, communication, analytics or building input forms take less effort. So we spend less time solving software engineering problems and more time creating practical solutions that automate vital HR activities. You can run SmartHR on your premises or access it over the Internet as a service from our secure data centre. The choice is yours. Read more about these options and what they mean here. The SmartHR mobile app allows for effortless application and approval of leave by bringing the powerful SmartHR rules-based leave engine to your smartphone. Employees can check leave balances for all leave types as at any future date. Managers can approve or decline applications. Sick notes can be captured with your camera phone. In addition, employees can update their profiles. 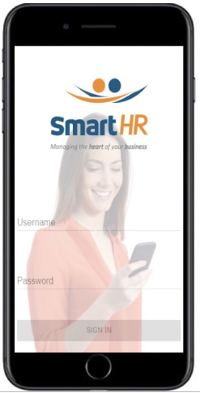 Most importantly, SmartHR mobile opens up exciting possibilities for payslips, timesheets, performance reviews and training content delivery. 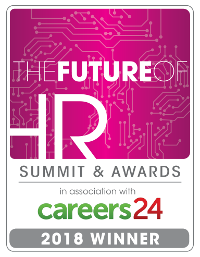 SmartHR is the HR Tech Service Provider of the Year (2018). Read about the Award here.